Django released, Scrapy3, and much more. So the campaign for the shirts is all through, shoutout to those of you who grabbed one! Packed issue this week so lets get right to it. 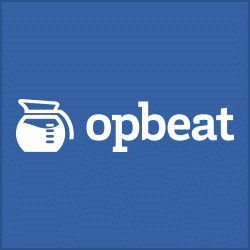 Opbeat for Django and Flask includes response time distributions, a full activity breakdown, and the ability to see the actual code that is slowing down the request (plus where it is called from & when it was committed). It's free to get started! Scrapy has Beta Python 3 Support! Django has released a Security release for the 1.9.x versions and a bugfix release for the 1.8.x versions. Time to upgrade your versions! Click through for more details about whats in these releases. New to python... Which IDE should I use? Minimalist microblogging tool for hackers. Interesting! Adds a near-realtime picture of the earth to as your desktop background. Pictures from from Himawari 8 (A Japanese weather satellite). Get rid of all the +1's from your Github issue comments. Interactive visualizations and stats of GitHub's newest, most popular repos. This is useful, creates animated graph visualizations, based on Graphviz and ImageMagick for gif rendering. Utility for asserting the structure and content of HTML in python. This is an alpha, but interesting project all the same! A collection of high quality asyncio libraries. Provides instant access to many datasets right from Python (in pandas DataFrame structure). Add tags to your directories with dtag. Perfect for the person who is looking to optimize their workflow. A library of consisting of helper modules for Python's data analysis and machine learning libraries. Neat blog post on how to write tests for Django migrations. Green hair!! Quick primers on What is stackless? nice introduction to using gevent to minimize wasted I/O time. At first thought you maybe thinking why? Even at a second thought, but none the less a cool demo. The second part in a serious about implementing your own spam filter, this shows you to how to use your own spam filter to filter your emails!